This post was originally featured on the Cooper Hewitt, Smithsonian Design Museum’s “Object of the Day” blog, written by digital media technologist Katie Shelly. Last year, our librarian Stephen Van Dyk picked up this slender blue hardcover at a rare book auction. 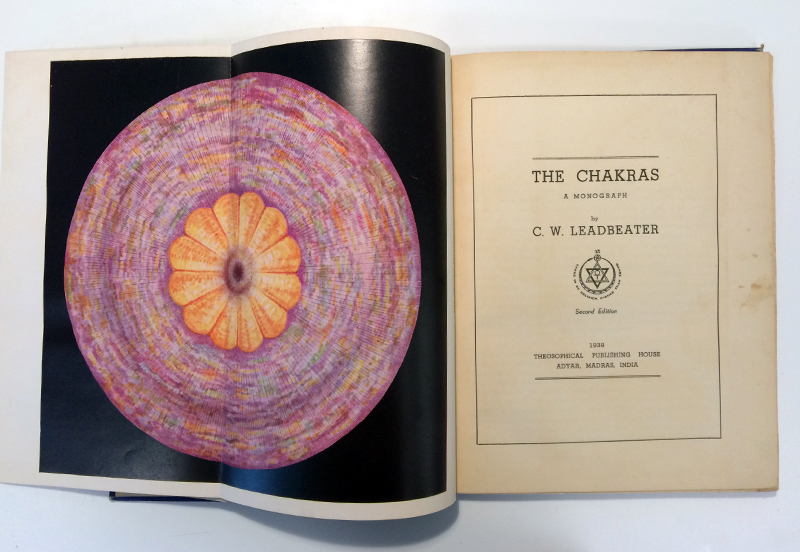 He didn’t know exactly what a “chakra” was, but still he found the worn old book remarkable, if not a bit weird, for its striking illustrations of big painted circles. 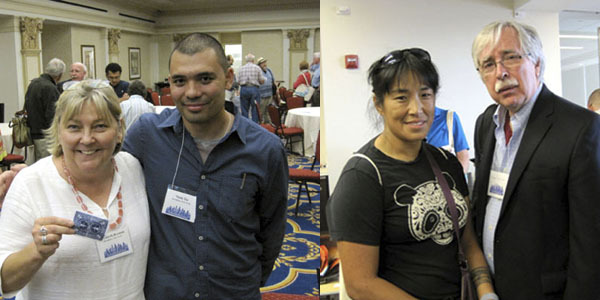 Left: Elizabeth Broman, Cooper-Hewitt Librarian and Pop-up artist Sam Ita. Right: Pop-up artist Colette Fu and Stephen Van Dyk, Cooper-Hewitt Branch Librarian. This was my very first pop-up book conference and I came away absolutely charged up, inspired and quite proud of our pop-up book collection here at the Cooper-Hewitt Museum Library. I’ve been a member of the Movable Book Society for a number of years, and add the quarterly newsletter, Movable Stationery, to our serial collection, which has been fully digitized and available online. It is indexed on the Movable Book Society website.